• Handful of Fresh coriander. Combine the tomato sauce, olive oil, soya sauce, braai seasoning, chicken spice, Worcester sauce, chillies and stir until all ingredients are combined to form the marinade. Place the feet into the marinade for about 15 - 20 minutes before putting them on the grid. The fire must not be too high, medium will do. Grill the walkies, brushing them with marinade while braaing until just cooked. 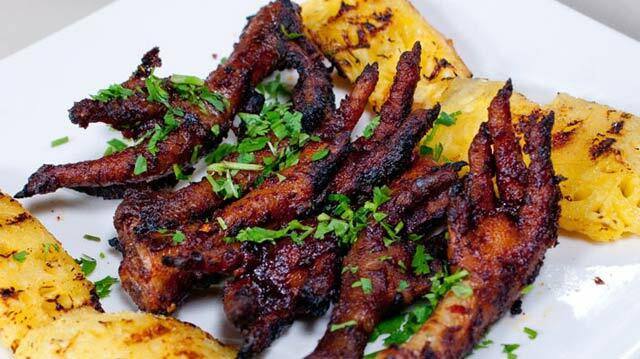 You can serve with grilled pineapple as a midday snack or an interesting starter.